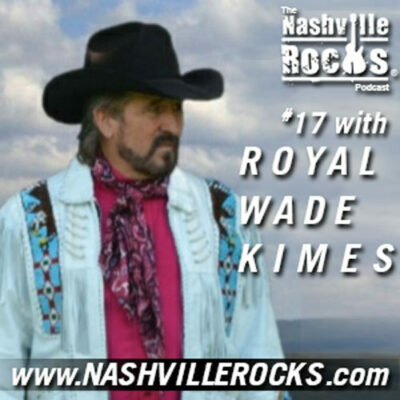 I would listen to Royal Wade Kimes: A Legend In Independent Country, Episode 17. RWK ,offers a style lacking in today’s ” modern country ” RWK is an “old school crooner” when you hear his music , you will stop and loop his song several times and with each loop you will hear something new , something different and smile to yourself thinking … this is how country music should be. I enjoy the story of how RWK found his way to “Nashville’s Music Row”.RWK worked his reality while, working his dream… love the story of RWK selling his cd’s to convenience stores , he was willing to do the ” hard work” , something I find lacking today in many areas of life. 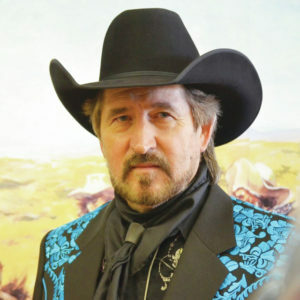 I have had the pleasure of attending several of RWK’s shows and he sounds amazing live , as well as his cd’s , this cowboy does not need alot of ” studio time” and his shows always please. RWK gives you a gift in his songs , through the melody & lyrics his songs finds a way to your heart and takes you back to a special place and time of your life, conjuring up memories that roll down your face.. RWK talked of when he heard George Jones , “He Stopped Lovin’ Her Today” , RWK , shared how he pulled over to the side of the road and cried while listen to Jones song. Well I too have experience that feeling several times while listening to RWK’s song and I believe when an artist makes you feel the music and you shake your head and say “damn” well that person is doing their job well. Thank you for choosing to hightlight RWK and I look forward to listening to more Nashville Rocks Podcast ! Thank you so much Maggie! I agree. Royal is a genuine cowboy, renaissance man and an overall great guy. Thank you so much for your comment!